What better way to get in touch with natural beauties than to camp outside, surrounded by extraordinary nature, inspiration in the mountains and vast meadows by the water. You can use covered porches of our sweet shop or restaurant for seating with food. If amongst your favourite activities belongs grilling with your friends, than it is allowed to use portable charcoal grills. Our campsite is closely connected to nature. It is washed with water from Jesenice dam lake on one side and situateded in an indented green valley with many full-grown trees and well maintained lawns. 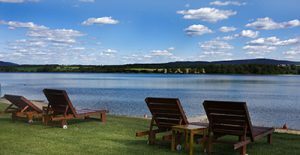 For a pleasant rest, sun bathing and staying near water, you can use our grassy beach. If you are looking for relaxation opportunity outside our camp. 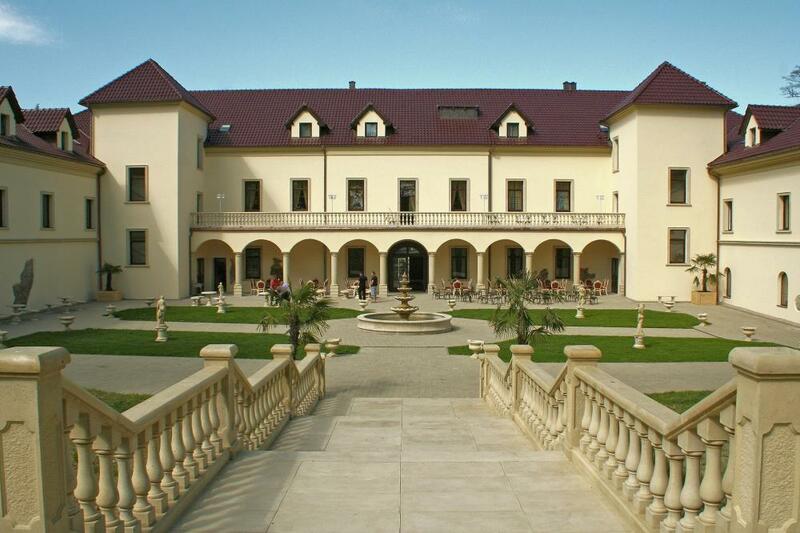 Františkovy Lázně, where you can get easily by car or even on bike, has many pleasant walking routes next to the spa colonnade, which are diversified with mineral springs. There is a waterparkAquaforum for public which is suitable for both adults and kids. 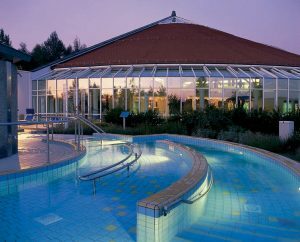 If you want to use really warm water for bathing (up to 36°C with ratio of 30% of mineral water in swimming pools)in indoor and outdoor pools, sweat rooms, steam baths and traditional German “Aufguss” with aromatic essential oils, this can be found across the border in the German wellness area Sibyllenbad. It is 20 minutes by car from our camp. There are also indoor pools in Cheb, Sokolov, Karlovy Vary and Mariánské Lázně. Nice wellness center with relaxation pool and warm salty water from the Dead Sea can be also found in Komorní Dvůr near Františkovy Lázně, where your relaxation can be joined with walk on the youngest volcano in the Czech Republic.